On April 16, 2018, I woke up and saw that Boston was getting weather similar to what I had run in the day before in Michigan. The temperature forecast was a little higher, but the rain and wind looked worse. My first thought was "If anyone can handle these conditions, it's a Michigander," a thought that ended up being prescient when Des Linden, who lives and trains in Michigan, became the first U.S. woman to win the Boston Marathon since Lisa Rainsberger (also a Michigander) won in 1985. As I watched the runners struggle to survive the journey from Hopkinton to Boston in rain that appeared to be falling sideways, I wondered how the runners were feeling as they battled through these elements. I had run 11 miles the previous day in cold rain, sleet, gusty wind, and temperatures in the low thirties, but I could have turned around and gone home at any time. These runners didn't have that luxury. After reading Boston Buddies: Boston Marathon 2018: Inspirational stories about overcoming life’s challenges one mile at a time, I no longer have to wonder what the runners were feeling. 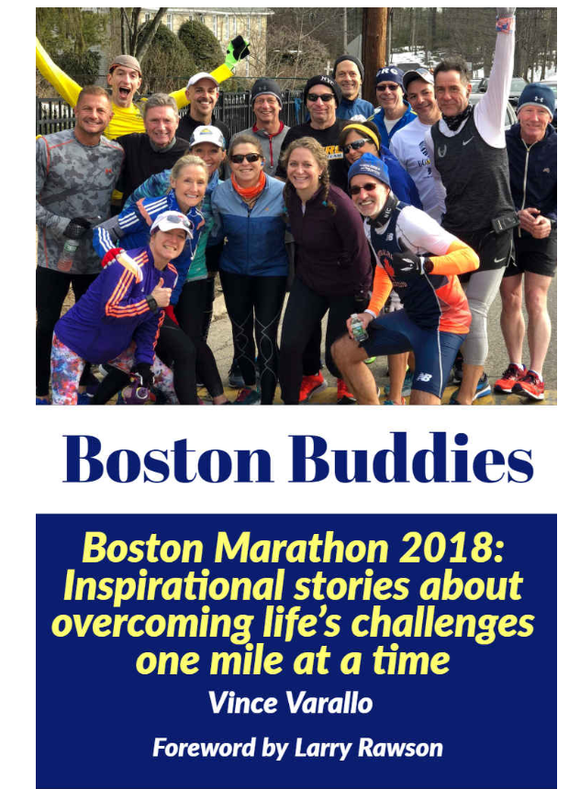 With stories from nearly 100 different runners, Boston Buddies shows how different people from all over the world handled the historically bad conditions. Most of the stories are by people who ran the race, but there are a few stories by people who did not run, such as Kathrine Switzer, who was there as a broadcaster, and the marathon's race director, Dave McGillivray. The book also includes race-day stories from the winner of the men's race, Yuki Kawauchi, and the women's runner-up, Sarah Sellers, but the 2018 Boston Marathon story would be incomplete without the contributions of less well-known runners. With 100 stories, there is some repetition about the horrible conditions, but overall, Boston Buddies delivers. From the crowds that showed up to cheer the runners, to the agony of those who did not finish and ended up in medical tents, to the charity runners who just hoped to finish and raise money for a cause, and to those who somehow achieved a personal best, these sincere accounts capture both the draw of marathons in general and the reverence and awe runners of all abilities have for the Boston Marathon. We call the fastest marathoners "elite," but this book highlights an unheralded class of elites who might not be the fastest runners but who have overcome challenges that would defeat many people. 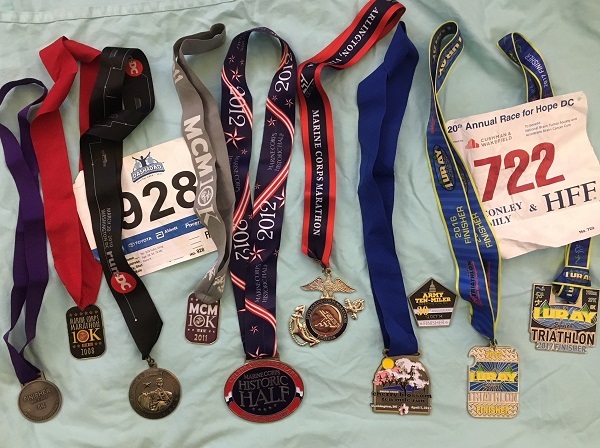 One woman was hit by a truck almost two years to the day before the 2018 race and had to relearn how to walk, but somehow she ended up not just lining up but finishing. Others overcame cancer, HIV, and other serious health conditions to line up in 2018. A young man with severe autism broke 3 hours while running with the assistance of two guides, and other runners share emotional stories of running in honor of loved ones they recently lost. A few runners give terrifying accounts of not finishing because their bodies and brains nearly shut down due to hypothermia, and others write about helping struggling runners find medical help. The most touching of these stories is by Marty Clark and Mandy Becker. Marty writes about seeing a woman weaving back and forth and stopping to help her, only to recognize her from the Boston Buddies Facebook group. This woman, Mandy, describes how she ended up in such terrible shape and how Marty saved her from injury or worse. Boston Buddies is named for a Facebook group of runners who have run or hope to run the Boston Marathon. The group (which I recently joined) is one of the most positive and inspirational places on the internet, so it's not surprising that Boston Buddies is equally inspirational. 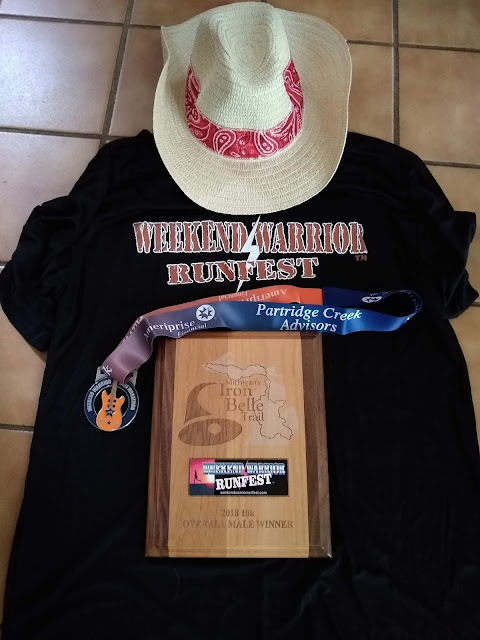 Elite runners, slower runners who enter the race through spots reserved for charities, and everyone in between encourage each other every day on the Facebook group and have some laughs, too. Vince Varallo, one of the group's founders, put this book together and shares his own race-day account. Vince and his Boston Buddies deliver a book that is a celebration of everything that makes the Boston Marathon special.